LION Super Pants deliver comfortable protection. Many innovative features add to the design of this gear, and will keep you safe while you remain mobile. Lightweight: Patented design that delivers the protection you need without weighing you down. Easy to Move: Innovative features that deliver better mobility and comfort. Protection: Lightweight protection and coverage. 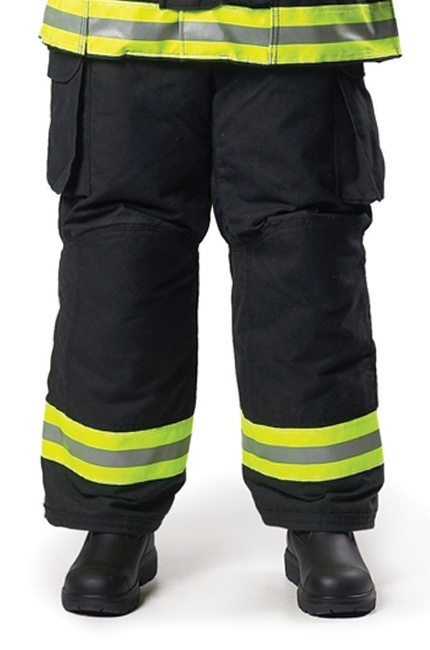 Customizable: Super Pants work with different LION coats and are available in a variety of sizes. Freedom Design: Innovative features make movement easier. Comfortable Fit: Super Pants fit well on your waist and have extra bellows where it counts. Reinforcements: Reinforced cuffs, kick shields, and knees for protection of high-wear areas. Lite-N-Dri™: Water-resistant, foam padding adds thermal protection without weighing you down.